POP specializes in Kyocera equipment. We have high-speed printers and full-color copiers that also scan and fax your documents. 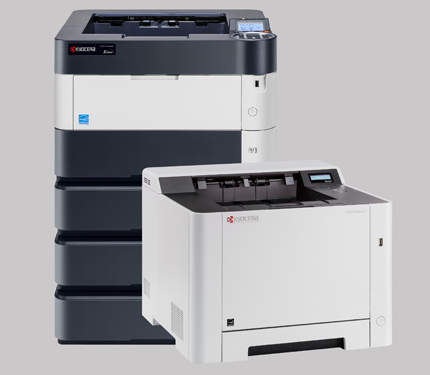 Kyocera is a multi-national company with a wide range of imaging products. In addition to the best products, we offer maximum commitment and the best service and support. We have the TASKalfa® full-color X-series, which incorporates the flexibility to tackle your day-to-day document imaging tasks and complex color projects with ease. This series offers high-production functionality, superior document handling, robust finishing features, and vibrant color technology. You can also choose from a selection of high-speed, full-color, or black and white units that incorporate comprehensive software technology. Purchase these as single units or with in-line, multi-unit compatibility.